Expanding Beyond Trauma: Cultivating Presence, Connection, And Integrity In An Age Of Divisiveness. Maggie Phillips and Peter Levine. 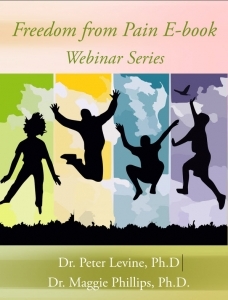 Highlights from their multiple session Freedom From Pain Online Course. The relationships between pain and trauma ~ Neuromuscular, polyvagal, emotional, and cognitive mechanics of pain experience ~ Explicit and implicit memory and how each impacts pain ~ How to identify and work with pain triggers and coupling dynamics ~ How to help pain clients stay within their window of tolerance and gradually expand into a window of comfort ~ Case examples involving multiple kinds of pain conditions and strategies for re-regulation and resolution. 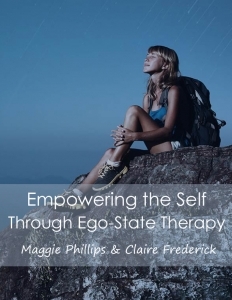 This e-book contains a four part teleseminar by Maggie Phillips and Claire Frederick. 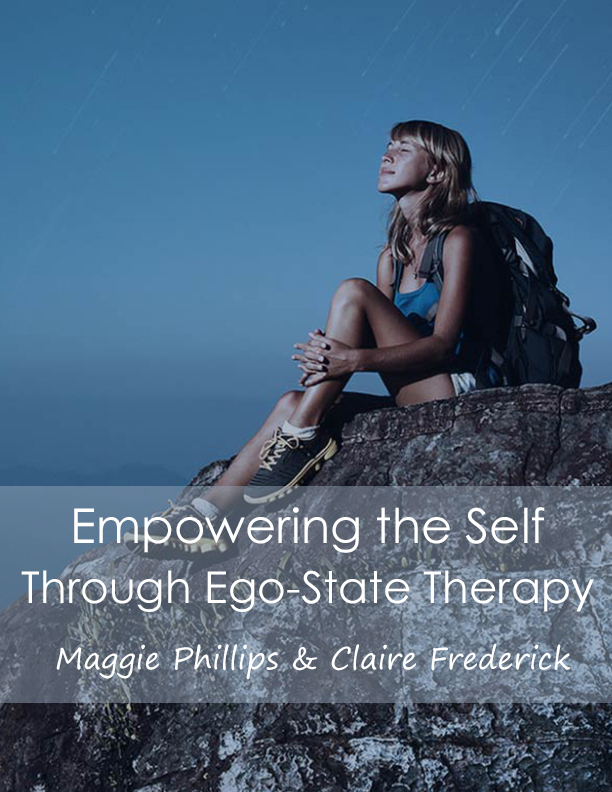 Learn the art and science of practicing ego-state therapy. Ten Ways to Stop Pain From Stopping You! One of the hallmarks of any pain condition that persists despite all efforts for healing is a feeling of despair and helplessness. There is hope! As a result of many years working with people who struggle with persistent and chronic pain, Maggie shares 10 proven ways you can stop pain before it stops you. Stop and reflect for a moment, is there anything more powerful than your creative imagination, or your power to envision or actualize your healing interventions? Enjoy this guide to combining two powerful tools for pain. 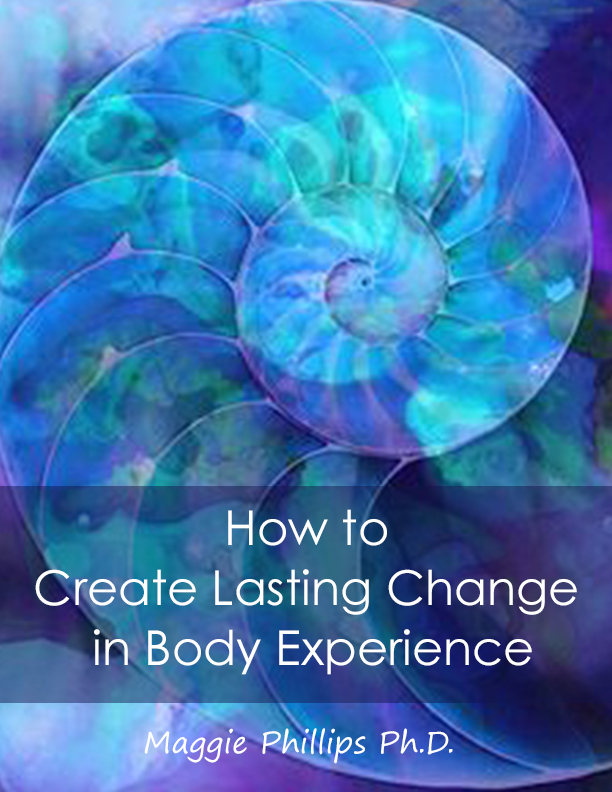 There are many factors that influence initiation of positive body experience for people who are in pain or who are suffering from health problems or posttraumatic stress. 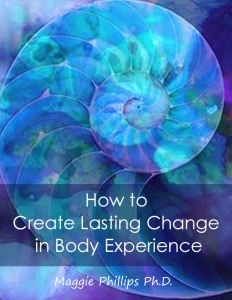 An important consideration is to identify portals into a given individual’s body experience that will serve to maximize their successful attempts at self‐regulation of distressing and painful experience. The following published books, book/CD programs, and mp3 downloads are also available through related websites. 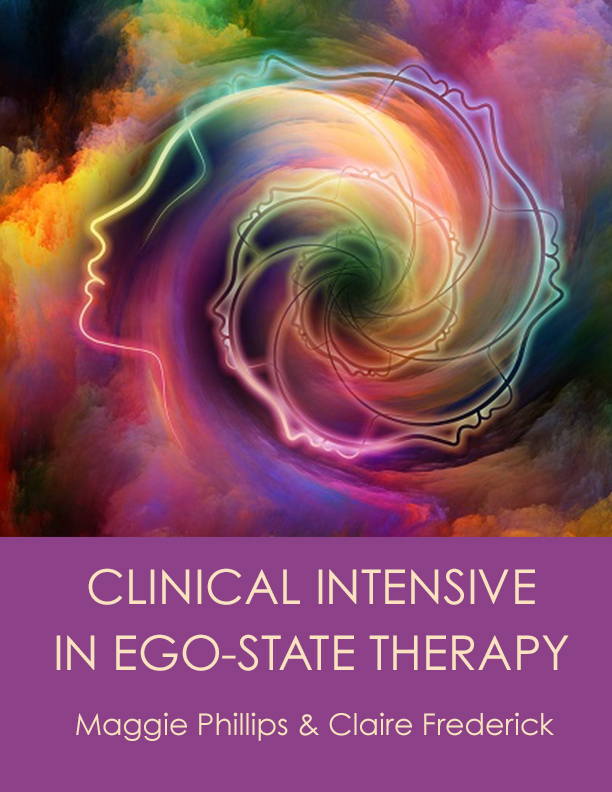 Written by Maggie Phillips, Ph.D., & Claire Frederick, M.D., is one of the first step-by-step guides to the comprehensive treatment of the entire spectrum of psychological difficulties related to dissociative and post-traumatic conditions. This book presents ways that clinical and Ericksonian hypnosis can be used to help with ego-building, uncovering links to childhood and later-life traumatic events, and the reworking of painful stored experiences using internal resources. 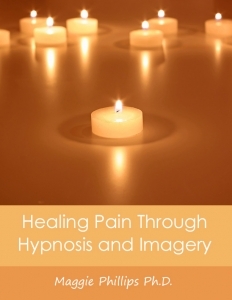 This CD audio program by Maggie Phillips, Hypnosis: The Pain Solution, offers a no nonsense approach to pain management. Designed for people who are not responding to typical pain interventions, this program will provide you with a thorough understanding of how pain works, and comprehensive tools to overcome it.